Collingwood School Loves Vancouver.... And Doing Good! 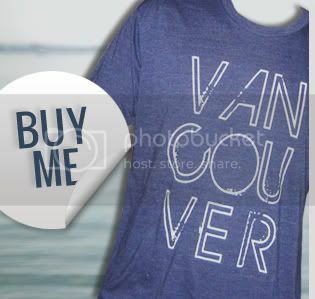 When we started Vancouver, we love you [the t-shirt project] our goal wasn't just to sell some cool looking shirts. 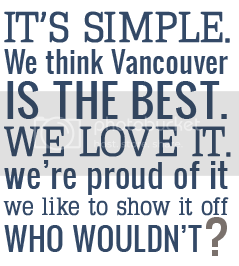 Right from the start we wanted the project to be about more than shirts, or Vancouver, or how great the two look together. So we partnered with Covenant House and have given 10% of every t-shirt sale back to them to help youth living on our city streets. We've also used our project to help promote amazing local musicians and events and have had a ton of fun in the process. And now we can say we've used this project to inspire young children! Earlier this month Vancouver, we love you creator Sarah Shandl was invited to speak to the Collingwood School's Grade 7 class about how the project started and why it's important to her to use it as a vehicle to help affect change in our community. Collingwood school also wanted to get on board with our passion for doing good and are the first group participating in the new Vancouver, we love you Community Fundraising Program, which they used to raise money for Covenant House. 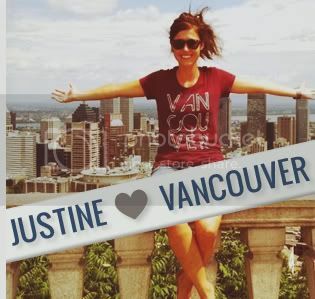 Want to partner with Vancouver, we love you? We want to hear from you! Send a note to us at info@vancouverweloveyou.com.